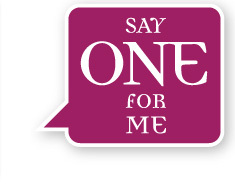 Last year you may remember the “say one for me” campaign. People were encouraged to put a poster in a local venue and collect prayers from the people in our towns and cities. These would then form part of the intercessions in our churches during lent. Well it’s back and this time there is a website and a facebook group.